A few months ago, the board members of the Boston Blockchain Association were talking about how to make blockchain more user-friendly. “What we need,” I said, “is a mascot!” As a joke, I ran up to the whiteboard and sketched out a block, with a chain for a tail. “We’ll call him BLOCKY McBLOCKCHAIN!” I shouted. That idea sat on the burner for a while. 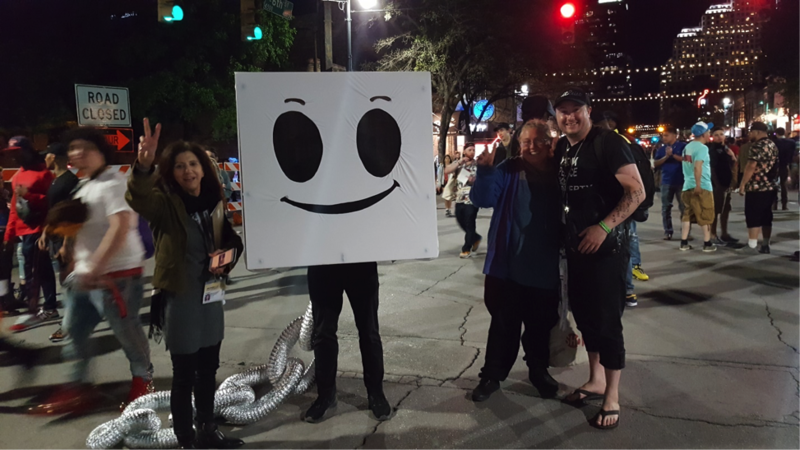 When I was invited to this year’s South by Southwest, the enormous interactive festival in Austin, to do a reading from my new book Blockchain For Everyone, I knew it was time for Blocky to become a reality. Behold! I present to you the new mascot of the blockchain revolution: Blocky McBlockchain! 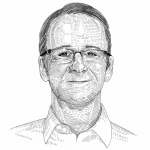 This may seem like a silly exercise—and it is—but it’s also important to put a friendly face on blockchain. Most of the discussions about blockchain are so technical and theoretical that people need a way to connect. Even though it’s digital, people long for something physical. I realized this as I’ve visited blockchain trade shows over the last year. The booths that get the most attention are the ones with a physical product: hardware wallets, bitcoin jewelry, minted coins. Even though this stuff is virtual, we long for the tangible. It’s also important that people see that blockchain is nothing to be afraid of. (We built Blocky with a huge goofy grin on purpose.) 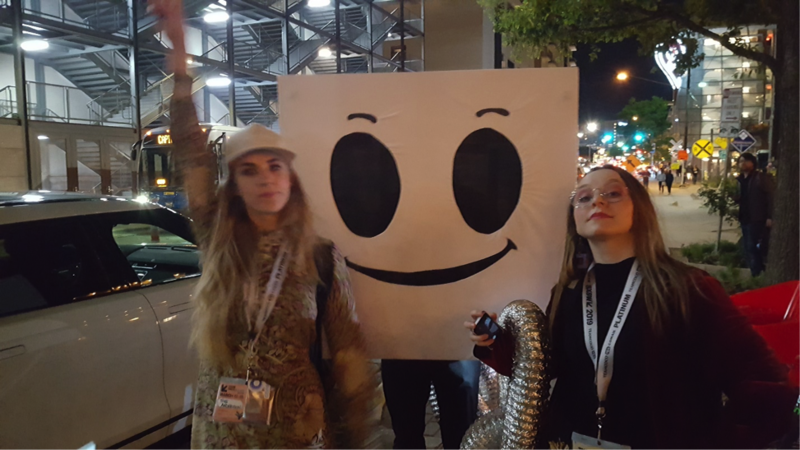 By taking selfies with Blocky, they’re making themselves part of the blockchain ecosystem. Blockchain for everyone. Later in the day, I hosted a blockchain panel, where we planned to bring out Blocky as a final surprise for the audience. 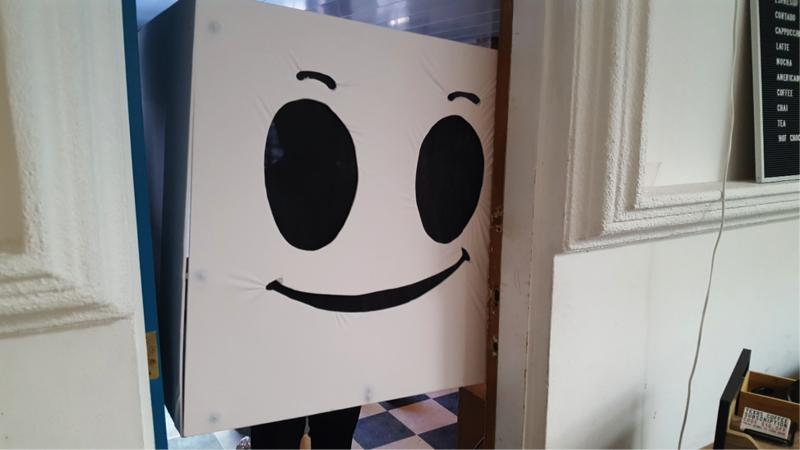 As I introduced the new mascot of the blockchain industry, I saw that BLOCKY COULD NOT FIT THROUGH THE DOOR. This was unbelievably funny to me. 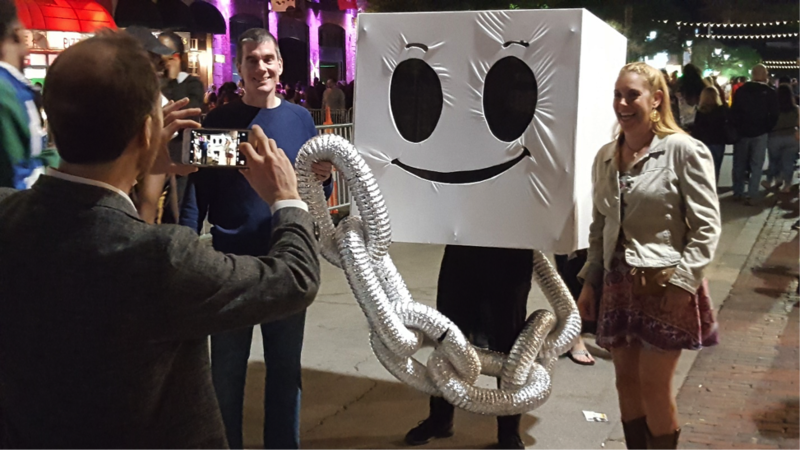 Many thanks to the team at CoCreateX—who also helped us create the “Blockchain Bus” for last year’s Boston Blockchain Week—for putting together this hilarious costume. Special thanks to Mac Cameron, who endured several hours inside the costume and countless selfies. Blocky. Maybe someday he’ll be as big as Mickey. P.S. 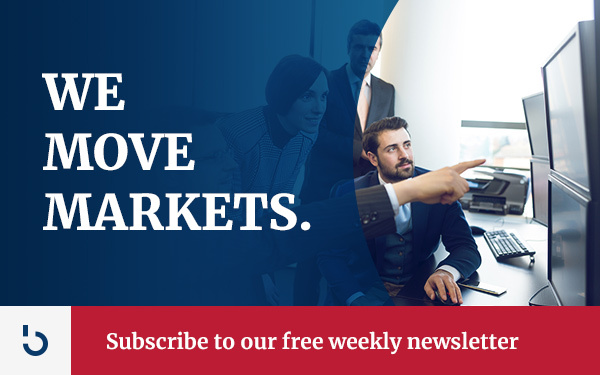 : Sign up here to get more big bitcoin ideas in our free weekly newsletter.